Two members of the MS-13 street gang pleaded guilty Monday to separate murder and attempted murder charges in federal court in what federal prosecutors said was part of the gang’s “campaign of wanton violence” on Long Island. Ronald Catalan, 26, of Brentwood unexpectedly pleaded guilty in federal court in Central Islip to the attempted murder of three rival gang members, a day before his trial on the charges was scheduled to start, according to officials and his attorney. When Catalan was arrested in July 2017, Eastern District prosecutors said he was the leader of the Brentwood MS-13 clique. In the second case, Jerlin Villalta, 27, of Brentwood, pleaded guilty to the murder of a member of the gang, whose skeleton was found in 2016 on the grounds of Pilgrim State Hospital, officials said. Villalta, a member of the Freeport MS-13 clique, was the second member of MS-13 to plead guilty in Jose Pena’s death, officials said. “The defendants have admitted to carrying out numerous MS-13 attacks on Long Island, including murder and attempted murders, as part of the gang’s campaign of wanton violence, “ Eastern District United States Attorney Richard Donoghue said in a statement. Pena was killed in June 2016 for allegedly violating gang rules, according to federal prosecutors. His remains were not found until October and added to outrage over the killings in September 2016 of two of his Brentwood High School classmates, Kayla Cuevas and Nisa Mickens, allegedly at the hands of MS-13 members. Meanwhile, Catalan admitted in court on Monday to the attempted murders of three people suspected of belonging to the rival Latin Kings and Bloods gangs, officials said. They opened fire on a group they believed to be Bloods, and one victim was struck in the armpit and back but survived, according to officials. In October 2015, Catalan — who prosecutors said was the leader of the Brentwood clique — directed other gang members to open fire on a group in North Bay Shore. Two of the targets, believed to be Latin Kings, were wounded but survived, officials said. Catalan’s trial, which was expected to last up to a month, might have provided detailed accounts of the gang’s operations on Long Island, since at least six members or associates of MS-13 were to testify for the government, sources said. Brill said that by not forcing the government to go to trial and reveal the identities of cooperators who might testify at other forthcoming MS-13 trials, his client faces the possibility of a lesser sentence. “I feel what he did was the best for him,” Brill said. 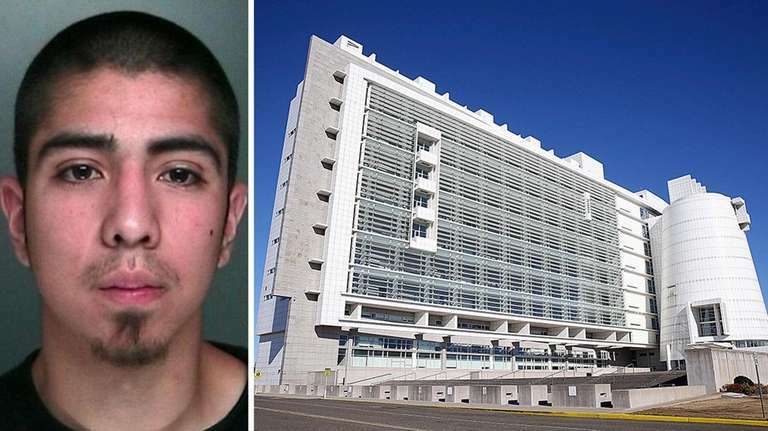 In the Pena killing, another gang member, Elmer Lopez, of Central Islip, pleaded guilty to taking part in the murder in federal court in Central Islip in March, officials said. Villalta admitted that — after consulting with gang leaders in El Salvador — he and other gang members murdered Pena because he was believed to be an informant and a homosexual, officials said. The killers lured Pena into a car, drove to the woods by the hospital in Brentwood and then repeatedly slashed Pena with knives until he died, according to Villalta, officials said. Villalta’s attorney did not return phone calls and an email asking for comment. Both Catalan and Villalta face up to life in prison when they are sentenced by U.S. District Judge Joseph Bianco. Alleged MS-13 gang member heads to trialThe opening statements in the federal trial of the man who prosecutors say led the ... Prosecutors: New charges for MS-13 membersFive alleged members of MS-13 on Long Island were arraigned Thursday on new racketeering charges ... Crime in Nassau and Suffolk, 2006-2017 There were 35,503 violent or property crimes recorded on Long Island in 2017 by the state's Division of Criminal Justice Statistics, a 5.7 percent decrease from 2016.